Android is one of the most popular and even most loved operating system for mobile platform. As like computers and laptops, Android phone also get heated after a long use. You can feel that by touching its screen and back side. As computers are big and bulky in size, so the manufacturer provide a cooling fan for their processor but this was not possible in case of mobile phones. Although heating can happen in any electronic device (such as in charger or TV) and generally speaking, it's a normal thing but if your phone get overheated every time, you've to take it very serious. You might have heard hundreds of reports about smartphone explosion. So don't take it for grant. 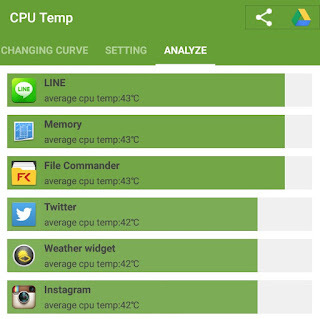 Here I will guide you how to find out the CPU temperature of your Android phone so as to monitor its CPU usage. Later on, we'll discuss some of the essential tips to cool down your phone's overheating. As name itself suggests, battery heating is related to your device's battery. For example, when you'll charge your phone for a longer period, it will heat up the battery automatically. Atmosphere around the phone also affects this. For example, your battery will be heated more when you'll put it under the sun. Another reason of overheating is due to the faulty battery. In my previous article, I had already discussed few essential tips to prevent your Android battery from overheating. While on the other hand, CPU overheating is generally due to the apps running in background, Android system, malware and features (such as Wi-Fi or Hotspot). You will find your phone overheated after playing high-graphics games continuously. After all, they are made to keep user interface in mind, not user experience. These things are the main culprit to affect CPU and RAM usage, which ultimately result into high temperature. Of course, you don't need any thermometer to measure your phone's CPU temperature. We will use a simple third-party app for this. 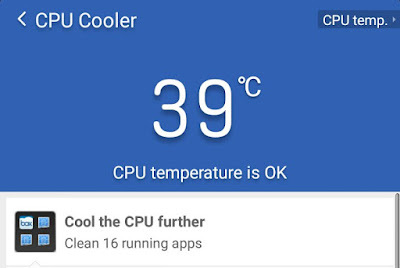 First of all, go to Google Play Store and install an application named as "CPU Temperature". This app has been downloaded by more than 500K times. It is smart enough to find out your phone's CPU, RAM and Battery usage. Good thing is that, it's just a 3MB application which will hardly take your 2 minutes to install it. After installing the app, simply open it. Here you'll find your phone's CPU temperature in degree Celsius unit as shown in above picture. Note that, it may fluctuate and change every second. This depends on your CPU usage. As already mentioned, system, malware and other third-party apps (or their services) are always running in background. They directly affects CPU usage. Make sure that the temperature is normal (generally between 35 to 45 degree Celsius). If it's too high, that means your CPU is overheated. In that case, immediately power off the phone. From the same tab, you can find other useful information such as your battery temperature and RAM usage. Now move to changing curves tab. 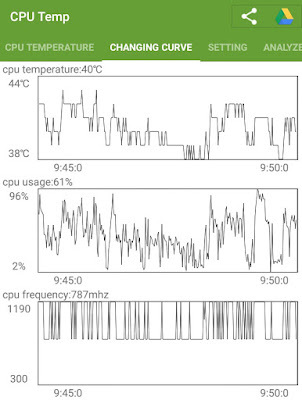 Here you'll find CPU temperature, CPU usage, CPU frequency and battery current live graphs. These graphs are enough to monitor every change. There are few other things you can customize in this app. For example, you can set an alarm to notify you when battery and CPU temperature is higher than certain maximum limit. Simply move to the "Settings" tab and switch on the button next to the "High temperature alarm" option. 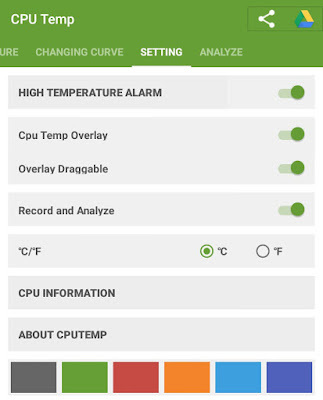 You can also turn on the "CPU temp overlay" button to show temperature detail on your phone screen. It can be dragged anywhere. From the same tab, you can change the temperature unit and theme color (which is B&W by default). 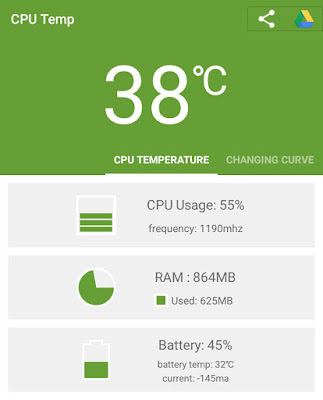 Try this: Find your CPU temperature in both apps and then compare them. Are both results same and accurate? Let me know in the comments. Here are few essential tips to cool down your CPU temperature when it's too high. Uninstall or force stop apps: Make sure to uninstall or force stop all useless apps (or their services) running in background. Facebook, Instagram, Flipkart, Snapchat and especially games, news and other social apps are the main culprit. Turn off the phone: This is the fastest and simple way to cool down the CPU overheating. As you'll power off the phone, all things will stop working automatically. Turn off wireless and connectivity features: You can turn off mobile data, NFC, GPS, Bluetooth, Wi-Fi, Hotspot and other features when they are not in use. Alternatively, you can turn on Airplane Mode. Free up some RAM space: To delete cached data, go to "Settings > Storage" and then click on "Cached data" option followed by OK button. You can also move some of the data to your SD card. Remove malware and viruses: You should regularly scan your SD card and Internal memory to remove viruses from it. 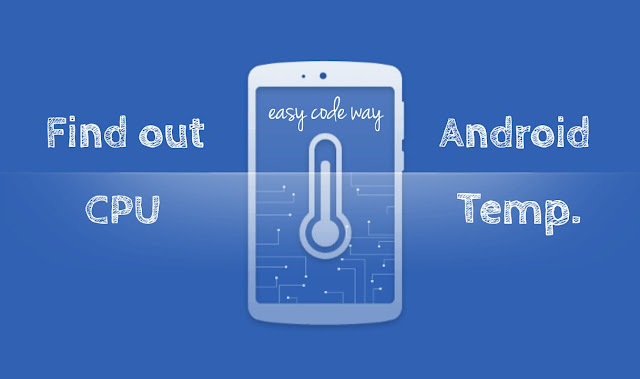 This is how you can lower down the CPU temperature in your Android phone. If you've any doubts, feel free to drop them in the below comment box. Stay tuned for more interesting tutorials. Did I had missed something? wow! An android one!It's gonna be great. I wish, I could have have one branded portable wind meters in android version with mini structure. I don't like working with giant instruments of weather.